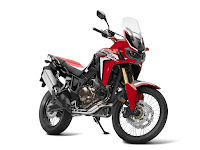 Honda is pleased to announce further technical details of the new CRF1000L Africa Twin, which will be in Honda showrooms across Europe in late 2015. 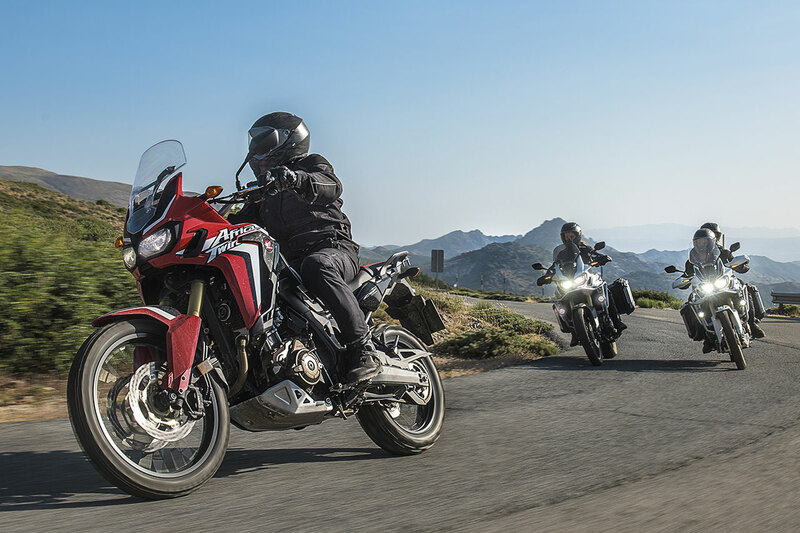 Like its celebrated forerunners, the CRF1000L Africa Twin is thoroughly equipped for true adventure, with a potent engine and dynamic chassis ready to cover continents on or off-road. From the start of the CRF1000L Africa Twin project there was one motorcycle that consistently impressed with its balance of usability, poise and handling, on road and in the dirt – the seminal XRV750 Africa Twin. It proved a worthwhile benchmark, even when set against today’s myriad choice of adventure motorcycles. The machine that now bears its name may share no common part with the old model but it inherits to the full the essence and spirit of what made the XRV750 Africa Twin so good. The “go anywhere” approach starts with the engine, which has to perform in off-road situations as well as on-road long-range touring, and all points in between. The CRF1000L Africa Twin’s 1000cc parallel twin power plant draws heavily on Honda’s off-road race experience in the form of the CRF250R/450R competition machines, and uses the same four-valve Unicam head design for compact overall dimensions. A lightweight cast camshaft – using the same materials as the CBR1000RR Fireblade – operates the valve train, and twin spark plugs fire the fuel/air mixture in each combustion chamber. Strong and linear power and torque deliver instant response anywhere in the rev-range – accompanied by a satisfying, characterful deep growl as rpm rises. A 270° phased crankshaft gives the power delivery a distinct character as well delivering excellent feel for rear wheel traction. Biaxial primary balance shafts cancel vibration. The engine’s short height contributes to the CRF1000L Africa Twin’s excellent ground clearance – another prerequisite for a true adventure machine. It also uses clever packaging of componentry to both dynamic and aesthetic effect. The water pump is housed within the clutch casing, and the water and oil pumps are driven by a shared balancer shaft. Further reducing engine size is the lower crankcase design, which stores the oil and houses the pressure-fed pump. The lightweight six-speed manual gearbox uses the same shift-cam design as found on the CRF250R/450R to ensure positive changes and is equipped with an assist slipper clutch. 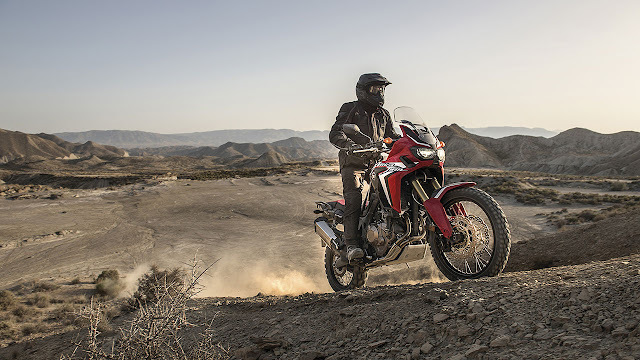 For the CRF1000L Africa Twin’s chassis three key attributes – highlights of the original XRV750 – were targeted: off-road performance, touring comfort and the everyday agility that makes for a great all-rounder or day-to-day commuter. A steel semi-double cradle frame provides the perfect balance of high-speed stability – also while fully loaded – matched to genuine off-road ability, agility and sheer strength. Mass centralisation – with items like the battery packaged at the rear of the cylinder head – contributes to a low centre of gravity. The long-travel Showa inverted forks are fully adjustable and feature dual radial-mount Nissin four-piston brake calipers and 310mm ‘wave’ style floating discs. The Showa rear shock has hydraulic spring preload adjustment. Like the CRF450R Rally, the CRF1000L Africa Twin uses 21/18-inch front rear spoked wheels, wearing 90/90-21 and 150/70-18 tyres. 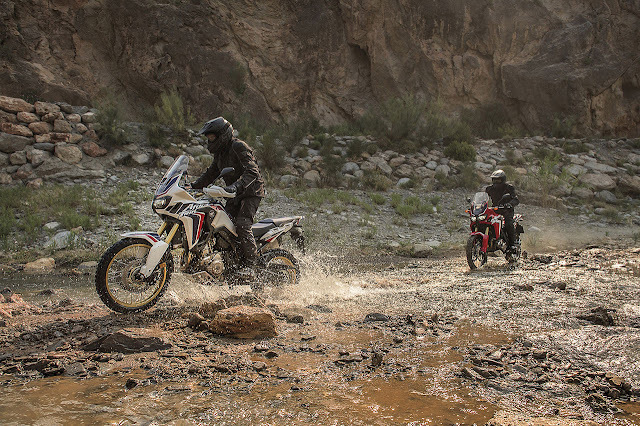 Following its design theme of “unlimited adventure”, the Africa Twin is styled with minimum bodywork in a tough, lightweight form that offers both weather protection for the rider and a slim, agile feel. Dual headlights maintain the original’s signature presence and the seat height adjusts 20mm to either 870mm or 850mm. A large18.8-litre fuel tank – coupled with the engine’s fuel efficiency – provides a range of up to 400km. 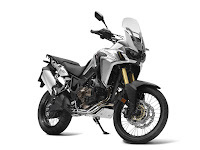 To tailor the overall electronics package to capably tackle any conditions on or off-road, the Honda Selectable Torque Control (HSTC)* system offers three levels of control, and it is possible for the rider to turn off the ABS* system for the rear wheel. The CRF1000L Africa Twin will be available in three colour options: CRF Rally, Tricolour and Black. There will be several versions of the CRF1000L Africa Twin, with prices starting from €12,100 (prices vary according to local taxes). 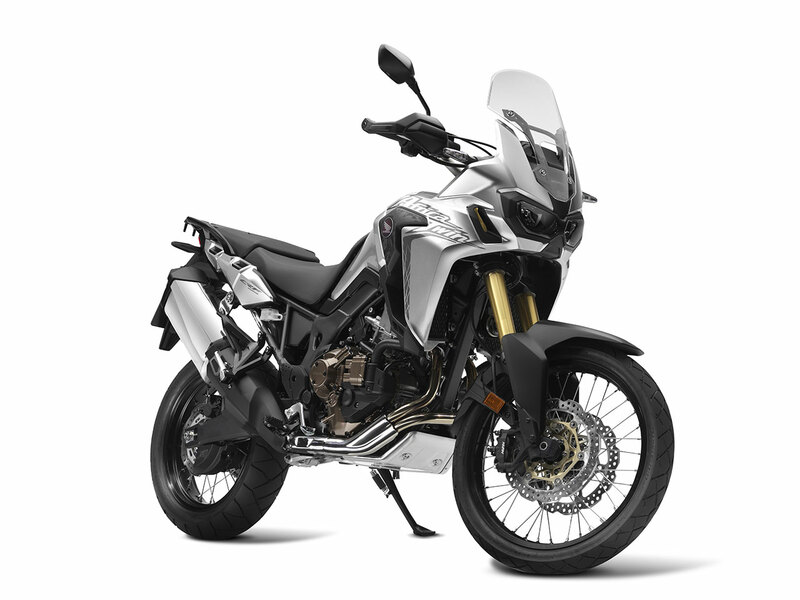 Honda’s unique Dual Clutch Transmission (DCT) will be available as an option on the CRF1000L Africa Twin, with the use of a common crankcase keeping the width the same as the manual transmission version. It features the standard manual mode – allowing the rider to operate gear shifts through triggers on the left handlebar – and two automatic modes. D mode offers the best balance of fuel economy and comfort cruising. S mode has now been revised to give extra levels of sports performance, with three different shift patterns to choose from: S1, S2 and S3. Of course, DCT for the CRF1000L Africa Twin is also fully equipped to operate in an adventure environment, with off-road functionality enhanced by the G switch positioned on the right side of the instrument panel. Pushing the G switch in any riding mode improves traction and machine control – all-important for off-road riding – by reducing the amount of clutch slip during gear changes. Further new functionality for the DCT system comes in the form of incline detection, by means of which the gear shift pattern is adapted depending on the grade of any incline to provide optimum control. * HSTC and ABS not available on base version; equipped as standard on ABS and DCT versions.